Home / Financial Advisors / Financial Advisor Center / Can Microsoft’s Partnerships Fend Off Amazon? Just because you got to the top first, doesn’t mean that you get to stay there. That’s what Microsoft (NASDAQ:MSFT) is saying to Amazon (NASDAQ:AMZN) when it comes to cloud services. Amazon has capitalized on its long-term build up and build out of its Amazon Web Services (AWS), which was first done to roll out its series of content offerings, from ebooks to music and, of course, its Prime video programming platform. It then opened its AWS to individuals, companies and even governments far and wide to host store and process data and other content making it the largest cloud company in a rapidly expanding market. But with billions of dollars in revenue out in the market, Amazon quickly is finding competition. This includes the likes of Alphabet’s Google (NASDAQ:GOOG, NASDAQ:GOOGL), Adobe (NASDAQ:ADBE), Rackspace and even the old-timer trying to change its ways with International Business Machines (NYSE:IBM). But the company that is really threatening the crown of the cloud is Microsoft. Its Azure cloud business unit has quickly become the number two cloud company and it may potentially topple Amazon for the top spot in the ether of the clouds. The key is that Microsoft isn’t just offering access, storage and processing — but its expertise is in adapting the cloud to specific commercial applications for a wider array of businesses. And this plan is being ramped up with a series of partnerships. Recently it announced a pact with Kroger (NYSE:KR) to roll out an online virtual shopping shelves offering for the company’s 2,780 stores. This would enable shoppers to more easily shop, compare, select and then have the groceries delivered. Microsoft’s investments in virtual reality, gaming and artificial intelligence (AI) are all being pulled in to make the partnership’s project not just a success for Kroger — but potentially for other grocers and retail companies. Then there is the partnership announced with Walgreens Boots Alliance (NASDAQ:WBA). This deal has a collection of projects that incorporate health data and prescription drugs as well as in-store digital health centers in the stores. The digital centers will offer devices for sale and potentially involve screening for customers. In addition, it also brings Microsoft’s 365 software to Walgreen’s 380,000 workers. This is also important given Walgreen’s earlier partnership Humana (NYSE:HUM) to compete with Aetna now acquired by Walgreen’s competitor, CVS (NYSE:CVS). CVS just announced a spat with Walmart over a dispute with its pharmaceutical benefit management (PBM) providing a potential gain for Walgreens. But it is interesting to note that separately Walgreen’s already has a coop with Verily Life Sciences, which is part of Alphabet’s Google. So just because you have a partnership agreement it doesn’t mean that the company has to be monogamous. Microsoft has also been partnering with healthcare providers including medical and hospital companies to solve for one of the more vexing of problems in data entry by doctors and practitioners as well as data management. 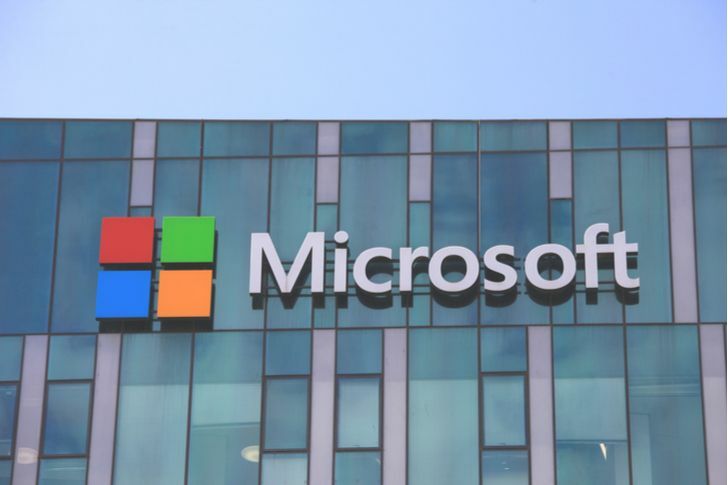 Microsoft also just announced today that it is expanding further into AI and the Internet of Things (IOT) in a partnership with the local Chinese government authority in the Pudong New Area and Shanghai Zhangjiang Group, which is a high-tech zone developer. This will be Microsoft’s largest AI development center, which will not only work to propel its capability with its existing products and partnerships, but also open it up to domestic Chinese companies outside of some of the rules restricting the export of U.S.-sourced technology. And then if the news of partnerships isn’t chock full enough, Microsoft also just announced another initiative called xCloud. The project is being called the “Netflix” (NASDAQ:NFLX) of gaming and will be bringing gaming to nearly any connected handheld device or tablet. It already has a wealth of a game catalog from its Xbox game division and it could open it up to other gaming companies in new partnerships to follow. All of this shows the aggressive moves of the company to ramp up its capabilities beyond the basics of cloud computing and will give a real challenge to Amazon. Microsoft is already a successful dividend-paying technology company that is the poster-child for recurring income – and its stream of new and pending partnerships will only aid in bolstering revenue to support higher dividends. Article printed from InvestorPlace Media, https://investorplace.com/2019/01/can-microsofts-partnerships-fend-off-amazon/.